TURIN (Bloomberg) -- Fiat S.p.A., the Italian automaker that acquired a 20 percent stake in Chrysler Group last year, reported a first-quarter loss, sending the stock as much as 3.5 percent lower in Milan. 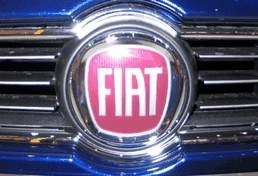 The net loss narrowed to 25 million euros ($33.6 million) from 410 million euros a year earlier, Fiat said. Analysts had projected net income of 51.6 million euros. Fiat returned to profit on the basis of earnings before interest, taxes and one-time gains or costs. Sales rose to 12.9 billion euros from 11.3 billion euros. The company forecast so-called trading profit of 1.1 billion euros to 1.2 billion euros for the full year. Fiat, which also manufactures trucks and equipment for the farming and construction industries, announced a five-year business strategy on Wednesday. Fiat said yesterday that Vice Chairman John Elkann, an heir to the Agnelli family, will succeed Luca Cordero di Montezemolo as chairman. CEO Sergio Marchionne, who is also CEO of Chrysler, said on March 26 he expects all of Fiat's businesses to improve this year except for the carmaking unit after European governments decided not to renew incentives. European auto sales still benefited from the last effects in the first quarter, while sales in Brazil rose more than expected. “The swing comes mainly from the auto business, with the first quarter marking the trough of the crisis,” Bruno Lapierre, an analyst with French brokerage Cheuvreux, wrote in an April 15 note. Fiat fell as much as 36 cents, or 3.5 percent, to 10.06 euros and traded at 10.20 euros as of 10:42 a.m. in Milan. Marchionne has said 2010 will be a “year of transition” as the auto industry emerges from its worst crisis in decades. The CEO has predicted car demand in Europe, where Fiat sells almost half of its autos, will drop about 15 percent this year to its lowest level since 1994. Fiat, which this year is equipping more of its cars with reduced-emission Multi Air engines, rolling out a 500-model subcompact with a new 2-cylinder engine and beginning sales of the Alfa Romeo-brand Giulietta hatchback, detailed production plans and savings from its alliance with Chrysler, the third-largest U.S.-based carmaker, in an investor presentation Wednesday. Marchionne has said he plans to invest more than 8 billion euros in factory equipment and vehicle development in the next two years, with the introduction of 17 models and upgrades of 13 cars now in its lineup. Two-thirds of the spending will be in Italy, where Fiat aims to raise production to 800,000 to 1 million cars from 650,000 vehicles currently. Cooperation with Auburn Hills, Michigan-based Chrysler is slated to include both companies' use of the Giulietta Compact platform as the basis for new models. Chrysler will provide its Italian partner with a sport-utility vehicle this year as well as five more vehicles for Fiat or its Lancia division in 2011, according to presentations on Fiat's Web site.